Bubble parties are always full of #kiligmoments! Our bubble party will leave your skin glowing and feeling oh so clean! This deep-cleaning mask feels and smells like bubble gum yet it has powerful hydrating and anti-pollution properties. Your skin will appear clearer and brighter – because a healthy look is always a good look! > Take 1 shot and spread it on clean & dry face. >> Feel how the mask starts bubbling – enjoy a tickling #kiligmoment! >>> After 10min., rinse well with warm water. >>>> Use 1-3 times a week. 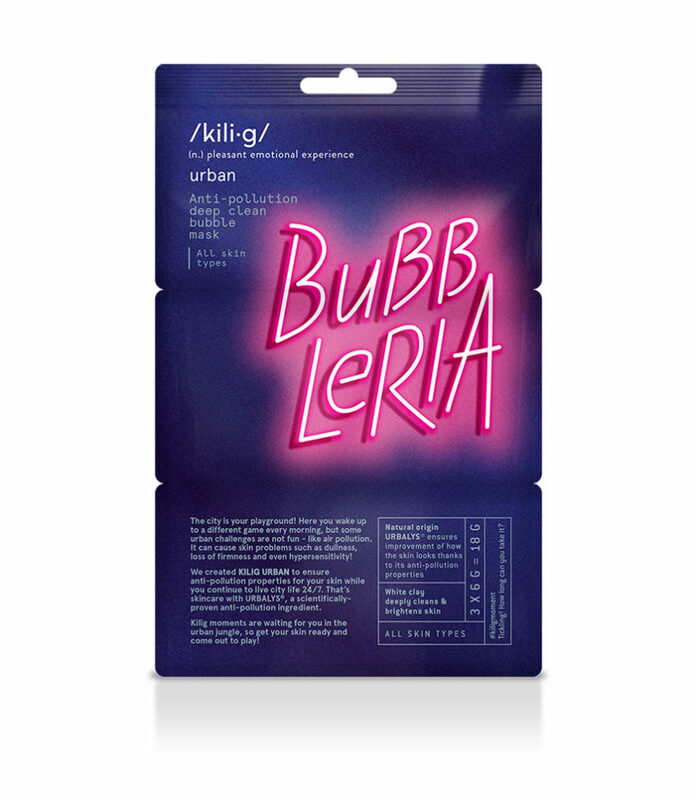 Enjoy city life and reveal your #kiligbeauty by using other KILIG Urban products with anti-pollution properties.